test shots. To customize [Monochrome], see page 139. Style selection screen will reappear. the default will be displayed in blue. 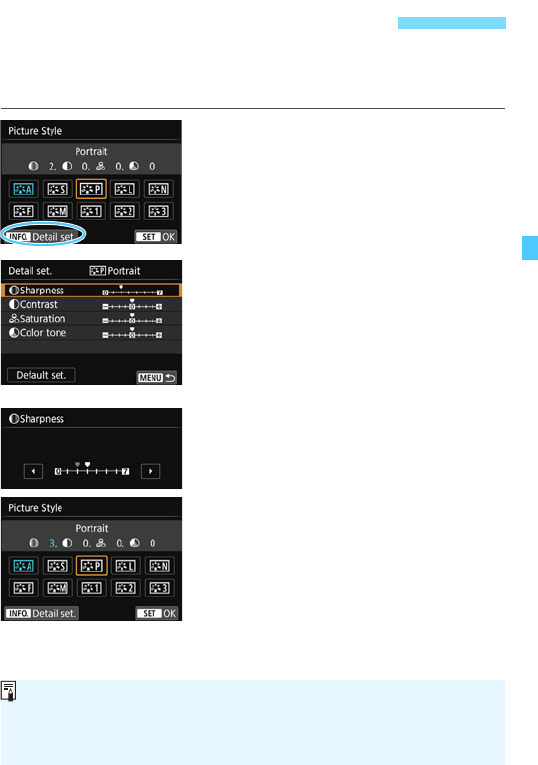 settings of the respective Picture Style to its default. select the adjusted Picture Style, then shoot.